Behind London’s Natural History Museum is a tranquil spot treasured by the city’s nature-lovers: a one-acre wildlife garden in which some 2,600 species of plants and animals have been documented. It’s an oasis amidst the urban bustle, and when museum administrators announced in 2015 that the garden would be redeveloped in order to add a new entrance, public uproar followed. Led by Natural History Museum biologist Helen Phillips, the study likely won’t change critics’ minds. After all, the controversy isn’t just about maximizing biodiversity, but regard for the intrinsic value of what’s already living there. Yet the findings may have ramifications beyond the museum’s grounds: they’re based on a novel approach that applies biodiversity-modeling methods typically used at landscape scales to a very small area. The researchers combed through previous studies of plant and invertebrate biodiversity in each of the 19 types of habitat — including chalk grassland and hedgerow, broadleaved woodland and fens — contained in the redevelopment proposal, and extrapolated from those to a total biodiversity score for the plan. At least for plants and invertebrates, biodiversity should increase between 11 and 14 percent. The researchers’ model isn’t complete. Vertebrates were not part of it; assumptions about relationships between diversity and habitat size have yet to be tested, and long-term post-development species counts are needed to know whether the model works. As aforementioned, aggregate biodiversity impacts are not the only way of thinking about outcomes. If the model holds true, though, there are certainly a great many less-controversial places where such tools could be used: commercial and public areas now managed for turf grass and ornamental shrubs, or any development where people want to maximize the life supported in a designed landscape. Source: Phillips et al. 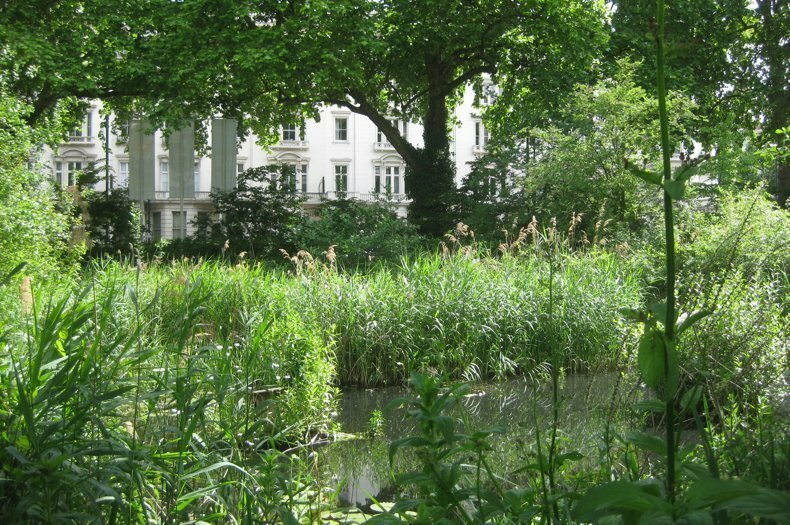 “Estimating the potential biodiversity impact of redeveloping small urban spaces: the Natural History Museum’s grounds.” PeerJ, 2017. About the author: Brandon Keim is a freelance journalist specializing in science, animals and nature, and the author of The Eye of the Sandpiper: Stories From the Living World. Connect with him on Twitter, Instagram and Facebook.